The joint venture between Nokia and Siemens is coming to a close with the former buying out the latter for €1.7bn. 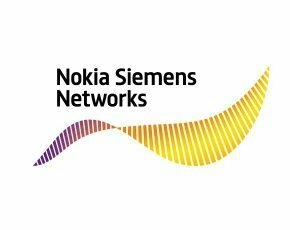 Nokia Siemens Networks (NSN) was founded in 2007 and saw the two European firms partner on providing networking infrastructure to telecoms companies across the globe. Although it was understood that Nokia ran most of the day-to-day operations of the partnership, Siemens was heavily invested in the venture, but today announced it was selling its entire 50% stake in the company to its cohort. Little explanation was offered by Siemens, with a statement from its chief financial officer merely predicting a bright future for the firm fully under Nokia’s control. "With this transaction, we continue our efforts to strengthen our focus on Siemens' Core areas of energy management, industry and infrastructure, as well as healthcare,” said NSN board member and Siemens chief financial officer Joe Kaeser. “The full acquisition of Nokia Siemens Networks by Nokia offers an attractive opportunity to actively shape the telecoms equipment market for the future and create sustainable value," he said. However, the CEO of Nokia, Stephen Elop, was clear it was NSN’s growth in the 4G networking market that kept his company’s interest alight. “Nokia Siemens Networks has established a clear leadership position in LTE, which provides an attractive growth opportunity,” he said. “Nokia is pleased with these developments and looks forward to continuing to support these efforts to create more shareholder value for the Nokia group." Sanchit Vir Gogia, chief analyst and CEO of Greyhound Research, said that while Nokia was trying to make up for its falling smartphone sales, Siemens had to rethink its strategy rather than be involved with a business that has seen declines in recent quarters. “Basically, Siemens is hiving off its 50% stake in NSN as part of a strategic repositioning in the market,” he said. “This correlates really well from the announcement in June to shut down its loss-making solar energy unit. Essentially, this tells us this is a strategy that is designed to prune, refocus and drive growth." Nokia said the existing management would remain in place, with Rajeev Suri continuing as CEO. The headquarters in Espoo, Finland, will also stay the same, and it will keep its German offices in Munich going to ensure it still has a “strong regional presence” in Siemens’ home country. The sell-off is expected to complete in the third quarter of 2013, when Nokia will reveal the necessary rebranding for the firm.